David Wheeler extended Exeter's unbeaten run as they beat play-off rivals Portsmouth 1-0 at Fratton Park. 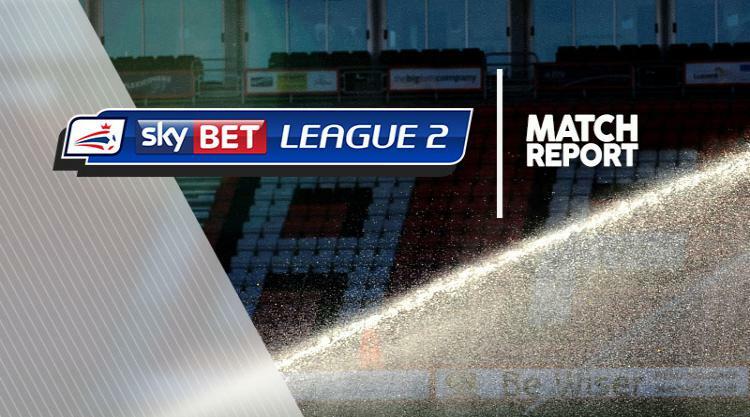 Wheeler netted his ninth goal of the season as the Grecians made it 10 matches without defeat as they moved into the Sky Bet League Two play-off positions. Portsmouth had the first chance of the game in the sixth minute when Carl Baker's low cross found Conor Chaplin but his back-flick went just wide of the post. Reuben Reid forced Pompey's goalkeeper into action six minutes later after weaving his way into the box and attempting a curling effort but he was denied by David Forde. Exeter took the lead in the 57th minute after the ball rebounded off the home side's Danny Rose before finding Wheeler in the penalty area who lashed it into the roof of the net. Gareth Evans almost earned a point for Portsmouth in the 72nd minute but his stinging effort was well matched by Exeter goalkeeper Christy Pym who managed to hold onto the ball.